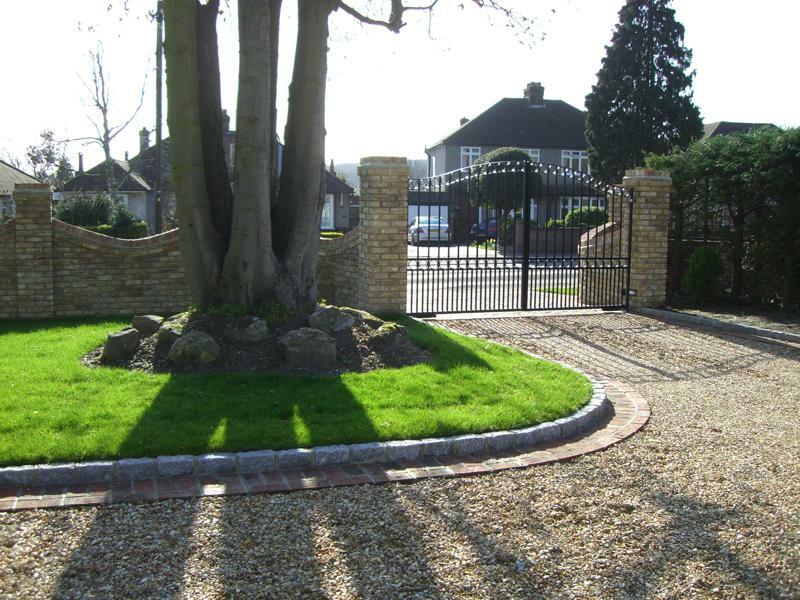 The brief for this driveway was to create improved security with enlarged parking areas. 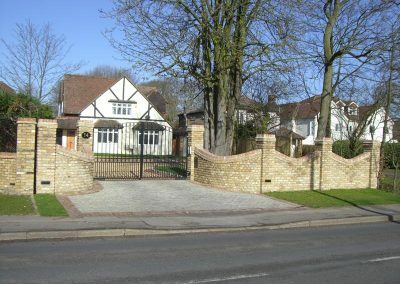 Reclaimed stock brick scalloped walls with piers were designed and constructed along with electric entrance gates and intercom system. 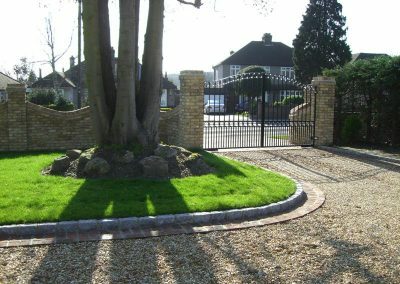 A large Granite sett apron creates an area for the car to stop while the gates open. 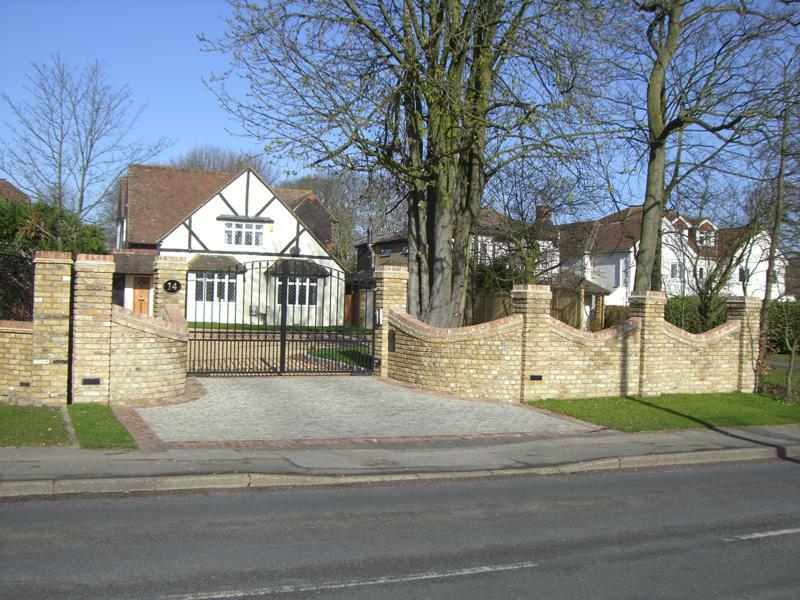 The internal driveway area was laid in loose gravel and edged with pointed stock bricks and Granite kerbs.